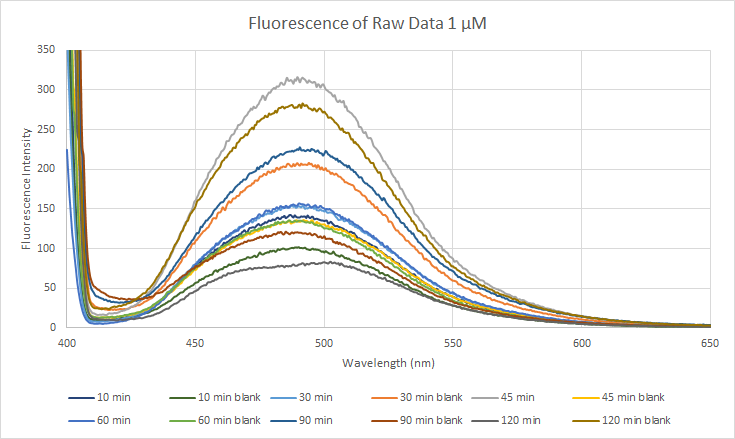 For the 1 μM fluorescence sample the 30 minute and 120 minute samples both had very high values for their blanks, which could explain why those values went negative. Also, 60 minutes is much lower than expected. 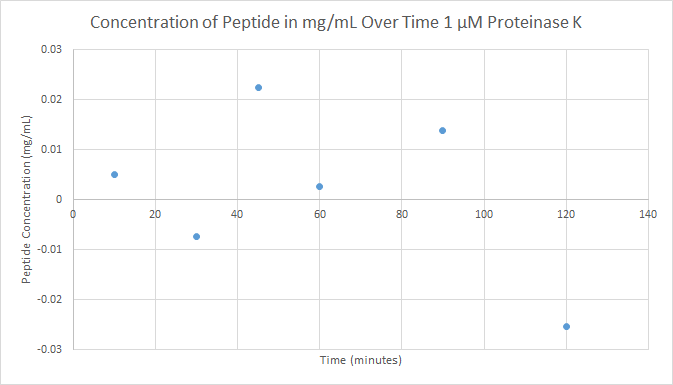 Overall the graph does not appear to make any trend. This page was last edited on 27 September 2017, at 01:18.